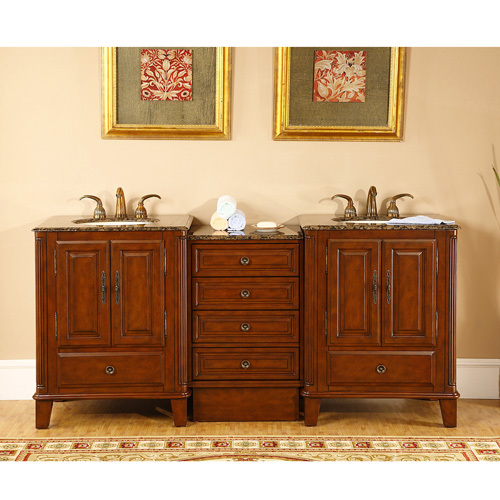 The Alviano Double Bath Vanity feature a traditional style, handsome beveling, and antique brass hardware. The Baltic brown granite counter top is pre-drilled on each side for faucet installation. 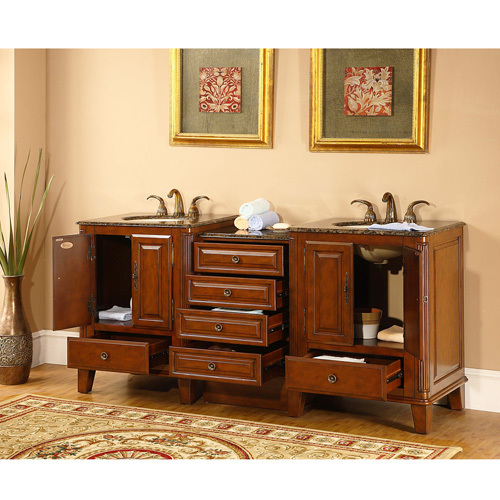 This vanity also includes double under mount ivory ceramic sinks. For storage and organization, you will find six drawers and four doors. The Alviano is a handsome centerpiece for any master bathroom.